Officers with Durango Police Department perform Ace of Base’s song “The Sign” in the Lip-Sync Challenge. 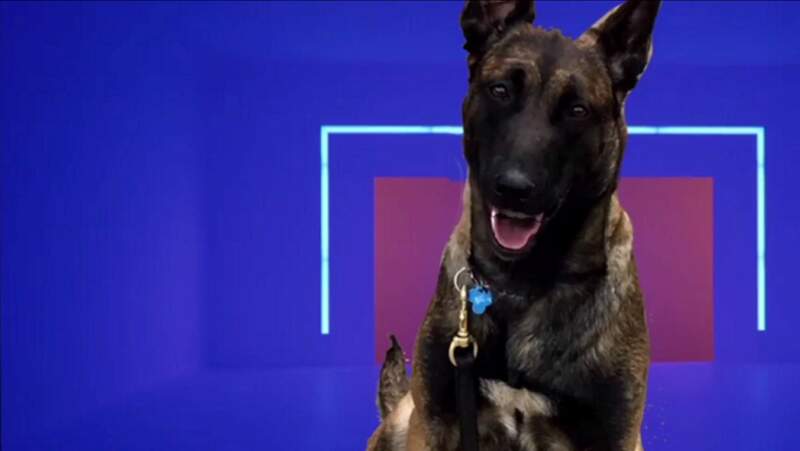 Durango Police Department’s K-9 Betty has a cameo in the Lip-Sync Challenge video. Who knew members of our local law enforcement could make music videos with the best of them? Or that they knew the words to ’90s pop hits? 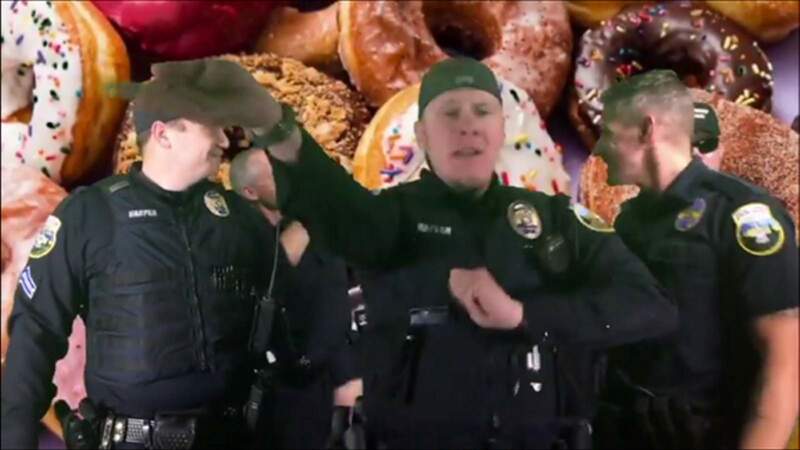 If you’ve scrolled through your Facebook newsfeed lately, chances are you’ve seen #lipsyncchallenge – police officers from departments across the country filming themselves lip-syncing songs and then challenging other agencies to come up with a video of their own. Now, you can add officers from Durango Police Department to the growing list of crime-fighting video stars. Lip-syncing and dancing their way through Swedish pop group Ace of Base’s 1993 hit “The Sign,” officers have racked up the Facebook numbers: As of Thursday morning, the video, which was posted to DPD’s Facebook page on Tuesday, had more than 246,000 views and had been shared more than 7,900 times. Filmed by Taylor on an iPad and in front of a green screen, the video took about two weeks to make because it had to be filmed during breaks and in between calls, Taylor said, adding that the point was to have a good time. “We just wanted to show that we have a sense of humor, we can have fun, too,” she said. It’s also a good way to engage with the community, said Cpl. Ethan Harper, who is in the doughnut-themed video. Harper said not only is the video fun to watch, it was fun to make as well and incorporated officers from all departments. The officers in the video are: Harper; Sgt. Deck Shaline; Detective Brad Roach; Officer Andy Kaplan; Officer Padraic Ingle; Officer Forrest Kinney; Sgt. Will Sweetwood; Sgt. Nick Stasi; Sgt. David Longenette; and K-9 Betty even has a cameo. Oh, and La Plata County Sheriff’s Office, you’re on notice – DPD has challenged you to come up with your own video.